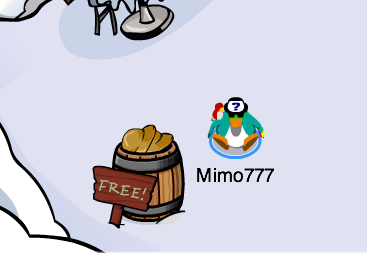 Club Penguin Cheats by Mimo777 Club Penguin Cheats by Mimo777: 2012 Earth Day Party is HERE! 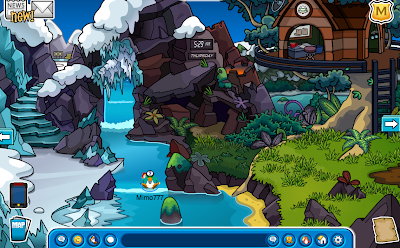 The Club Penguin Earth Day Party is here... Still don't get it. 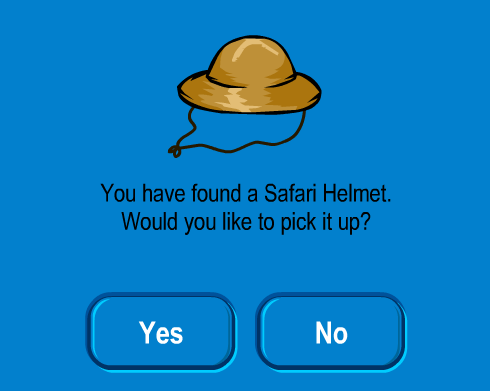 First if you go to the Town or Plaza you can find a FREE Safari Helmet! 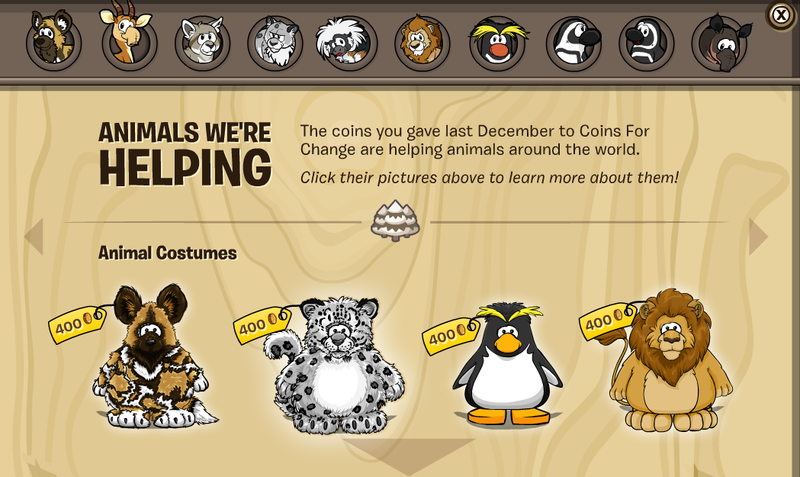 If you go to the Snow Forts and click the little paper thing in the botton right corner you can buy new animal costumes. And if you click the animal pics you can learn more about that animal... Fun? Do you like it, or you wish there was more to the party? wait,is it really only one room decorated? rip off!they had more rooms decorated last year. and wheres the arctic white penguin color? I don't get it. 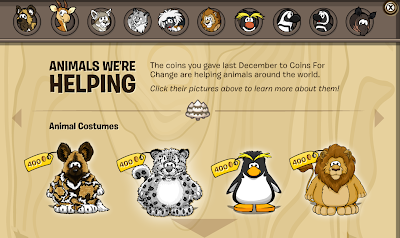 Last year, they sold the African Painted Dog & Snow Leopard costumes for 50 coins. Now it's 400 each. It's a scam! 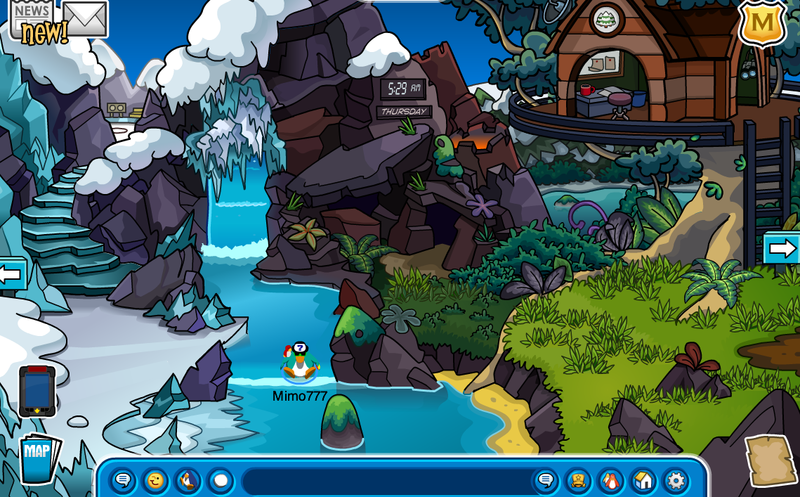 Please note that this is marked as a ''Club Penguin EVENT'' - not a party, an event. Events in Club Penguin are usually situated in no more than 1 room as seen so far and they are sometimes without free items. It'd be cooler if there was more to the party. There's not much to do except for sit in the super cool snow forts. your right anonymous and anonymous.but why would his ship be like that?maybe he was coming to clubpenguin and then all the sudden his ship got sucked into one of herberts new inventions.weird theory,but could be true. so did they lie about the arctic white color or something? AND there's nothing to do anyway. PEOPLE ITS EARTH DAY, OF COURSE THEY WILL CELEBRATE IT. ITS CLUB P-E-N-G-U-I-N! SO STOP WHINING ABOUT IT!